It is satisfying when one of your investments performs well. But what should you do then? Just sit back and enjoy the warm glow? The DIY Income Investor approach is usually a 'buy and hold' strategy - but, in my view, there are times to think about selling. My holding in Sainsbury, which was providing a good yield has been showing a consistent increase in share price over the last few months and is now showing a nice capital gain. Should I realise the capital gain or just continue to hold? For all investors, the decision to sell can be as difficult as the original buying process. After all, you would be pretty frustrated if the price continued to rise again the day after you sold. However, high-yield dividend shares are a bit different. Because high-yield dividend shares pay out such a high proportion of their cash flow in dividends, it is unusual for the business value to grow significantly in the short term - these are usually mature businesses. As an income investor, I am happy to bank the dividends - as long as the capital value of my investment (i.e. the share price) is reasonably robust. So, with income investing, you cannot reasonably expect to make the occasional 'multi-bagger' returns that *sometimes* happen with 'value' investing. But there are sometimes unusual situations that produce a capital gain on a primarily 'income' share - and it may be a good strategy to grab these. I bought Sainsbury at the beginning of 2012 as a high-yield share to supplement my Level 6 holding on my DIY Income Investor Income Pyramid). It is now showing nearly a 25% increase in value, yet the current yield is still around 4.5%. The reason for this rise in the share price is partially Sainsbury's good performance in the UK (and the poor performance of Tesco) but also because of take-over rumours. Qatar Investment Authority already owns more than a quarter of Sainsbury’s. In 2007 the QIA-backed Delta Two fund launched a £10.6bn, 600p-a-share bid but the deal was chased away by the Sainsbury's family. The Qataris retained their stake and rumours returned in 2010 only to disappear again. This time, a 450p to 500p a share bid is doing the rounds. The current share price is around £3.55 - so potentially a lot of 'upside', as they say. My own 'sell' indicator is showing '4.1' (with '5' being the equivalent of a flashing red light). This number - if you haven't yet picked it up - means that the current capital value 'profit' is equivalent to 4.1 years of income. However, this takeover bid might be a desert mirage. Qatar has been on a buying spree, snapping up everything from Harrods department store to a £900m stake in BAA, via its subsidiary, Qatar Holding. However, its appetite for the UK's third-largest supermarket may not be as great as the market thinks, given its involvement in the Glencore and Xstrata merger, which should keep it busy for now. The UK supermarket sector is very competitive, after all. Still, the yield is still reasonable, so it probably won't hurt to hang on a little more before pressing the 'sell' button. Interesting post. Without a doubt the hardest thing to do is to sell a share. It's incredibly easy to buy a share without doing the due diligence 'on a whim' yet selling (whether your in or out of the money) is much much harder. I'm a fan of partial profit taking - selling some of the holding to realize the profit and investing elsewhere. I had the good fortune to sell my Tesco before they tumbled a while back but decided against moving the holding to Sainsbury! Hindsight is a terrible thing in investing. I found my decision to sell to be more simple. I am a firm believer in buy-and-hold investing as well. Since I do not follow the dividend strategy, it is not based on an amount of income but quite simply, if the return is higher than 100%, sell the profit but keep the original amount, use the money to buy shares in other companies within the portfolio instead. 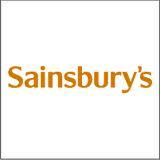 Looking at year to date charts shows Sainsbury up 15% and Tesco down 25% I think you bought just after. If you think that Sbry has gained on the back of tough times for Tesco you could swap sides and sell one high and by the other low. You still have the yield and the potential for TSCO to recover. If not where will you put the money to work for you instead. Alternatively sell and wait to see if it goes back lower and buy back in, watching out for any trading costs. Good idea - sell SBRY and buy TSCO. The yields are similar. But I think there is more pain yet for Tesco (and possibly more upside for SBRY). Your main point, though, is well taken - where to put any money from a sale?